The Finch Stuff web site Is made possible by displaying advertisements to our visitors. Please support Finch Stuff by disabling your ad blocker while you browse. 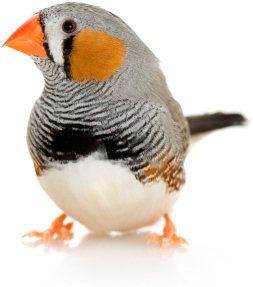 Here you can find a small number of interesting and useful things about finches! 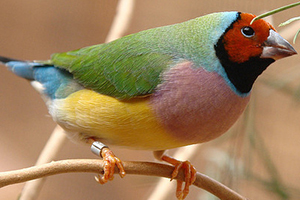 Learn about the sounds the different species make, the amazing genetic variation of Lady Gouldian Finches explained simply, and how to create an attractive naturalistic home aviary. The Finch Stuff web site is made possible by displaying advertisements to our visitors. Please support Finch Stuff by disabling your ad blocker while you browse. Learn about back colours, head colours and chest colours, as well as mutations like Blue, Pastel, Yellow and Dilute. 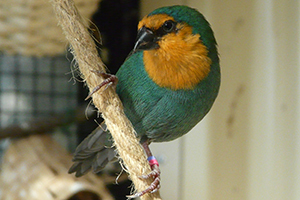 Find out how loud or quiet the different finch species are, and which ones are melodic singers. 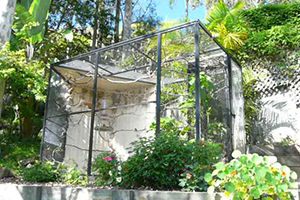 Read and watch videos about naturalistic aviary design, for happy finches in your back yard.